Fans of Injustice are getting a second run at a fan-fave character. One thing that has kept players constantly playing the mobile edition of Injustice Gods Among Us is the new characters and new character skins available through the Challenge Mode. Each character is only available for a certain amount of time, then the only chance to get it is through random chance by buying Challenge Packs in the game store at a rate of 150,000 credits each. 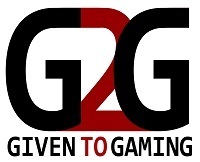 Every now and then Netherstorm, the makers of Injustice, give players a second chance. They offered up Batgirl for second time at the end of August and now we are seeing the return of Darkseid. Why is Darkseid so sought after? When teamed with Bronze characters, those characters get a 300 percent boost in health and damage, plus Darkseid is a powerful Gold character in his own right. The Darkseid Challenge requires players to have Cyborg for the second part of the challenge, Catwoman for the fourth, and Black Adam for the fifth (and final) part of the challenge. 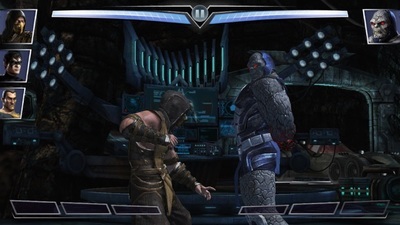 The Challenge Mode can be played through three times, each time earning players a copy of Darkseid. The mode becomes more difficult with each completion, so having Cyborg, Catwoman, and Black Adam in gold, fully promoted, and level capped is preferable. The big difference between this challenge and past challenges is that after the challenge has been complete once, players must have two or three challenge credits to enter a battle, making it much more difficult to complete the challenge's three runs during the allotted time. For more info tips and tricks for completing the Challenge Mode, check out my Challenge Mode guide and my Injustice power leveling guide. 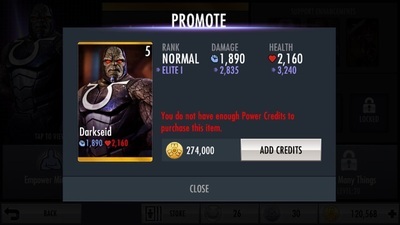 Characters can be promoted up to seven times, each at a different credit cost, so even if you can’t defeat the Darkseid Challenge Mode all three times, you can still purchase promotions. 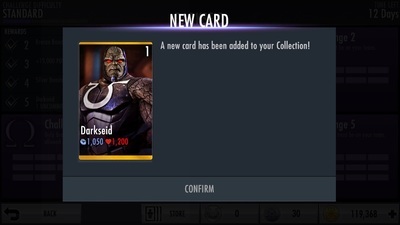 Promoting Darkseid costs 274,000 credits. 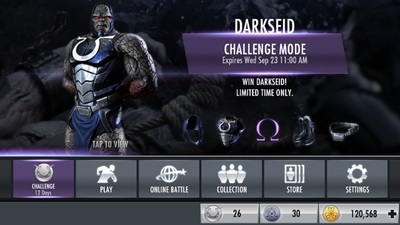 The Darkseid Challenge Mode is available until September 23rd. Will you be checking out What We Do in the Shadows?